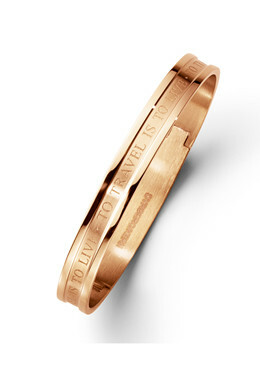 Inspired by the famous Danish author, H.C. Andersen, this bangle is engraved with his famous quote “ To Travel Is To Live”. And it sure is, isn't it? Shown here in a beautiful rose gold toned finish.